Over time, there have been various ideas proposed for the reservoir. Below you will find some of the preliminary conceptual plans that have been explored to date. 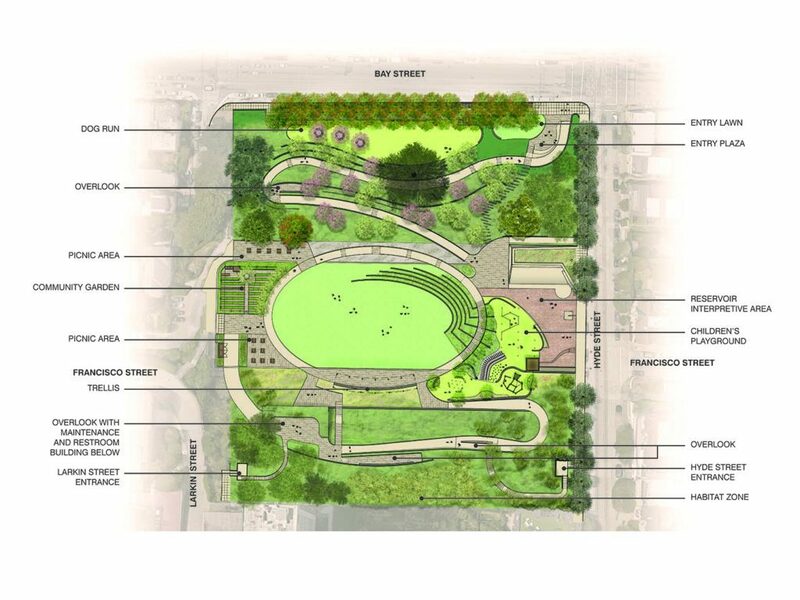 We look forward to collecting feedback throughout the community outreach process and incorporating the public’s ideas in the next design phases. 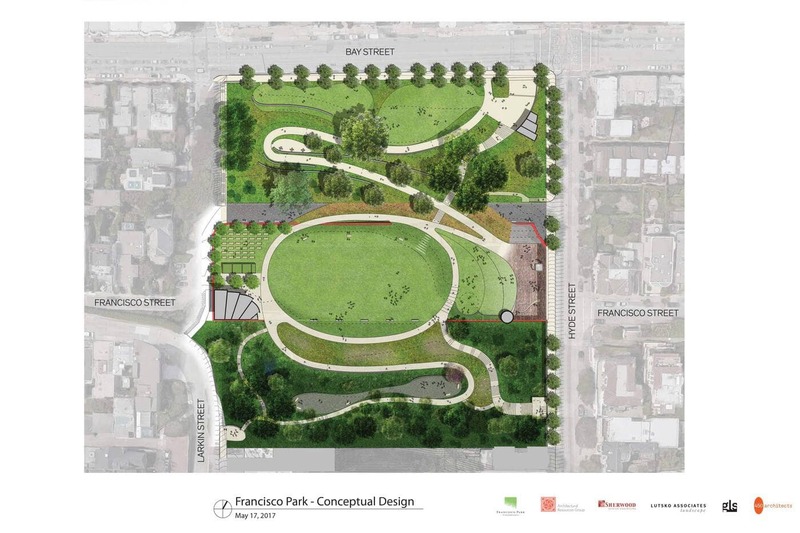 A Russian Hill Park master plan was designed by Lawrence Halprin at the request of the Russian Hill Improvement Association and in anticipation of the PUC’s 1958 designation of Francisco Reservoir as “surplus” property. 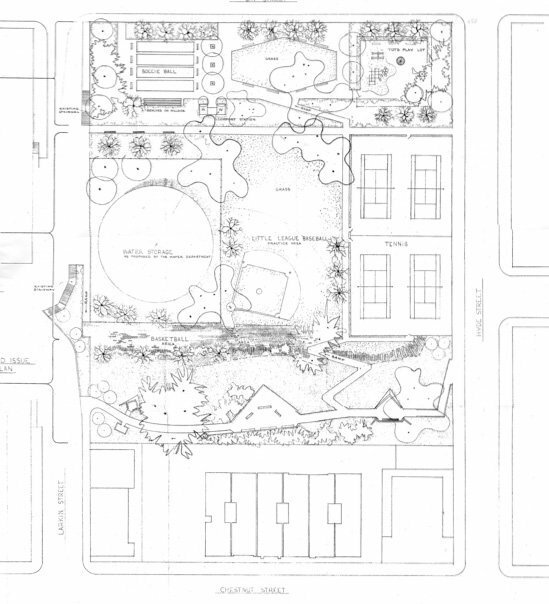 In 2008, the following plans were prepared by Lutsko Associates and GLS Landscape Architecture and intended to serve as a starting point for discussions on park design. General objectives are to maximize usable space while minimizing costs by moving as little dirt and using as few retaining walls as possible. 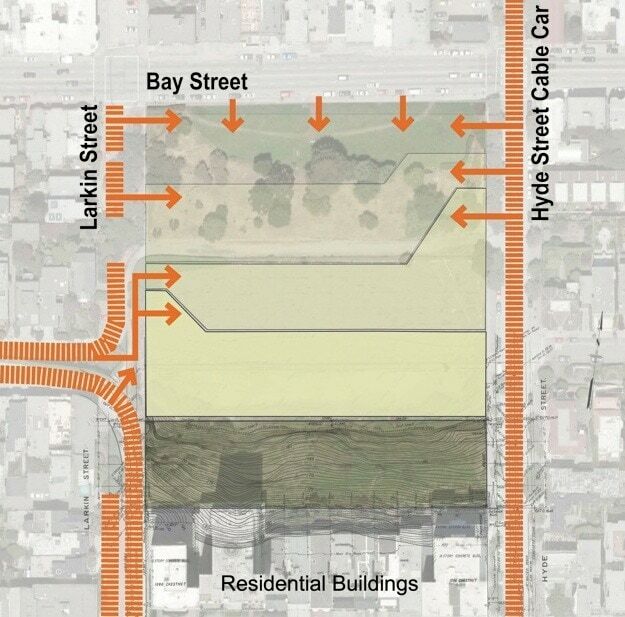 This side elevation shows existing levels of the Reservoir, Hyde, Larkin Street, and the proposed terraces to be created from dirt on site. The yellow area is used to fill the purple area. 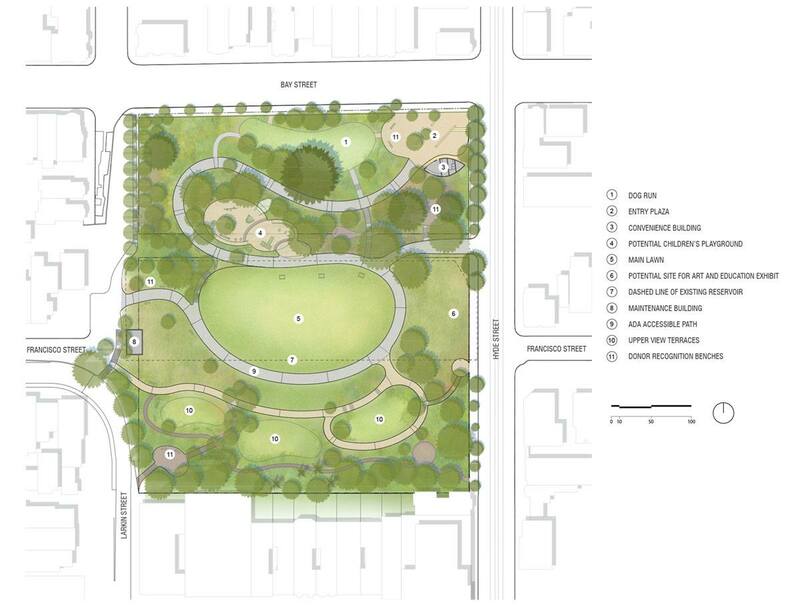 Providing ADA compliant access to all levels of the park is a major design challenge and requires shapes that facilitate each terrace meeting the adjacent street grade. 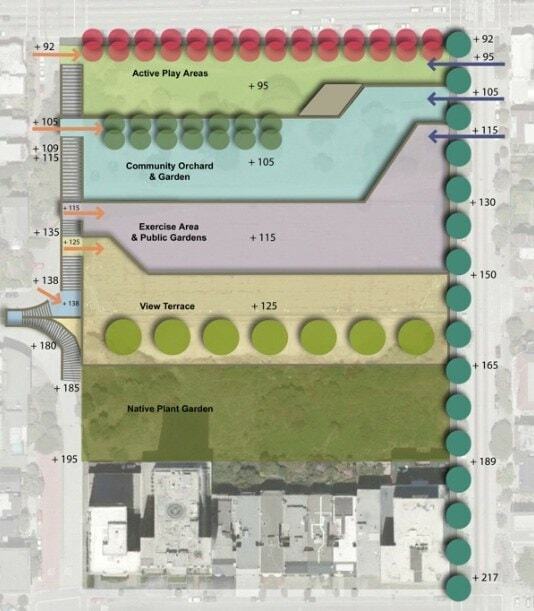 The eventual use of each terrace is to be determined. 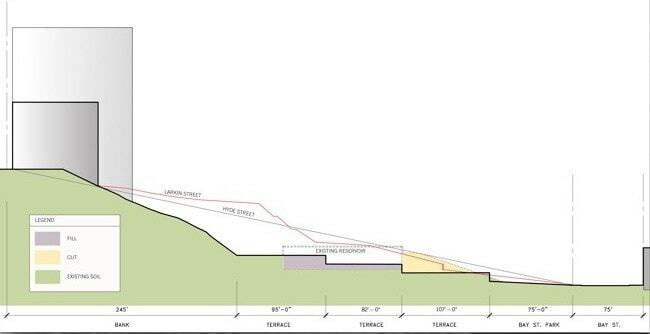 The vegetated hillside would be very expensive to incorporate and would likely remain largely “as is” and be converted to native plants.